As part of its International Impact-based Forecasting and Warning Service program supporting the U.S. National Weather Service International Activities Office, HRC organized and participated in the initial Weather Ready Nations project workshop for Croatia. 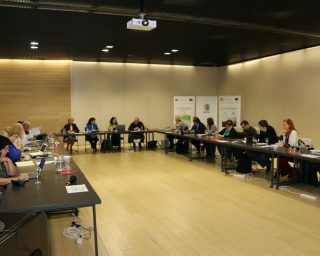 The workshop was held at the Zagreb Congress Center in Zagreb on 27-28 September 2018. In attendance were representatives of the DHMZ (Croatian Meteorological and Hydrological Service), DUZS (Civil Protection Directorate), U.S. Agency for International Development, and the U.S. National Weather Service. HRC led the workshop which overviewed Croatia’s needs and requirements for forecasting and warning high impact weather events. This is the beginning of a project designed to have the DHMZ and DUZS work together with the National Weather Service and HRC in moving impact-based forecating forward in Croatia. A press release regarding the workshop is available at DHMZ. More information on HRC’s Impact-based Forecasting and Warning Services can be found here.